electric, fixed wing planes as well as gliders, helicopters and even quadcopters (drones). The ARCS is a long standing R/C club, proud of our membership and its accomplishments. We are charter club #442 of the Academy of Model Aeronautics operating in Marcellus, NY. 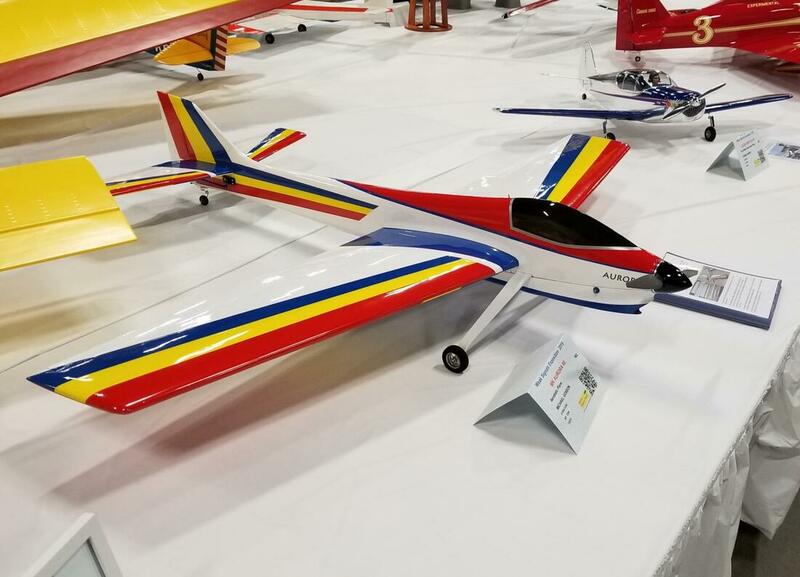 The 15 month long MK Aurora 60 project was finally completed in time to display at the 2019 Toledo show. Upon final judging at the show we came in third place. ​﻿We fly off of a grass field (400 x 125) with a flight line, spectator area, safety fence, picnic area with gas grill, and transmitter impound, though not needed so much anymore. We enjoy a relaxed environment with something interesting happening all the time, see below. Qualified flight instructors are on hand every Thursday evening, to assist you every step of the way. We will take you from your first flight all the way to solo. We use the “buddy box” system, available for most common radio systems. Meetings are held on the second Friday of the month (Oct - April ) at Walt’s Hobby Town in Lakeland. Meetings run from 7:00-9:00 PM. We discuss new products, events, and try to have a presentation for each meeting.